Home / Unlabelled / More Accolades As Chief Mrs Obiano Becomes UGO Orumba North. 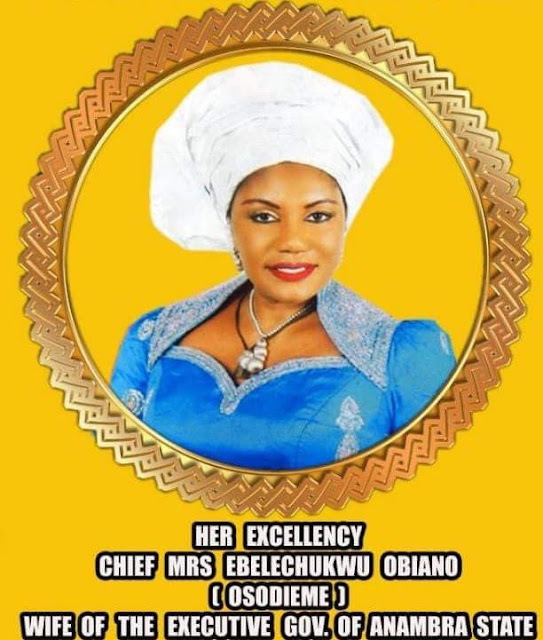 More Accolades As Chief Mrs Obiano Becomes UGO Orumba North. The Orumba North Local Government Council of Traditional Rulers, President Generals of Town Unions under the council and good people of Orumba North conferred the Chieftaincy title of Ugo Orumba on wife of Governor of Anambra State and Founder of Caring Family Enhancement Initiative (CAFE), Chief (Mrs) Ebelechukwu Obiano (Osodi) on 4th August 2018 for selfless service to humanity. According to the royal fathers, the title was in recognition of "your outstanding and excellent support to His Excellency, Governor Willie Obiano(Akpokuedike) in providing quality political leadership in areas of good governance, infrastructural development, women and youth empowerment programmes. Here is the acceptance speech of Ugo Orumba at the colourful event.